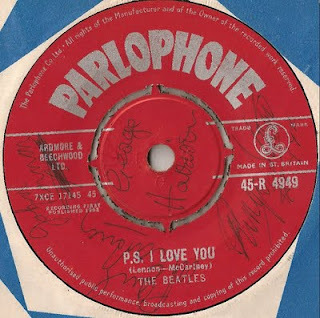 Liverpool Beatles Auction: Two Signed Singles. 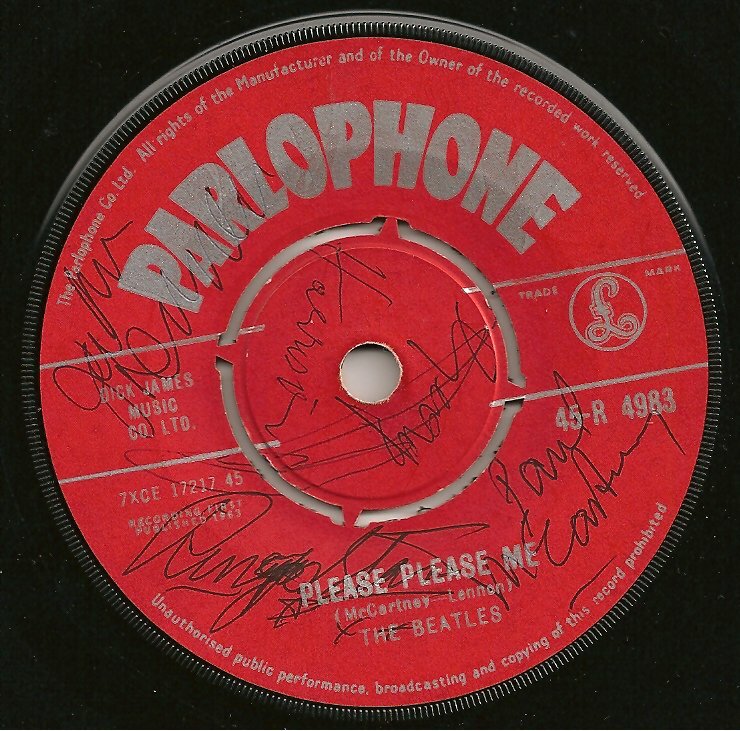 There are two very special signed items going into the auction this year. Both are from the same vendor who was a fan from the early days and both are singles. 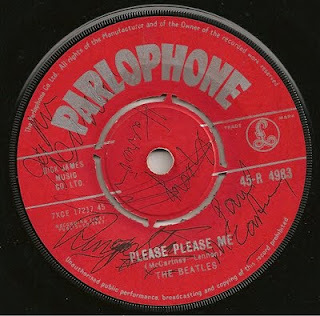 Similarly this red label Please Please Me single was purchased from NEMS as soon as it was released and again a few days later was dutifully taken along to a Beatle Cavern gig and fully signed by the whole band. A few years ago we sold a fully signed copy of the Love Me Do single for around £12400 - the most we've ever seen a signed single sold for!